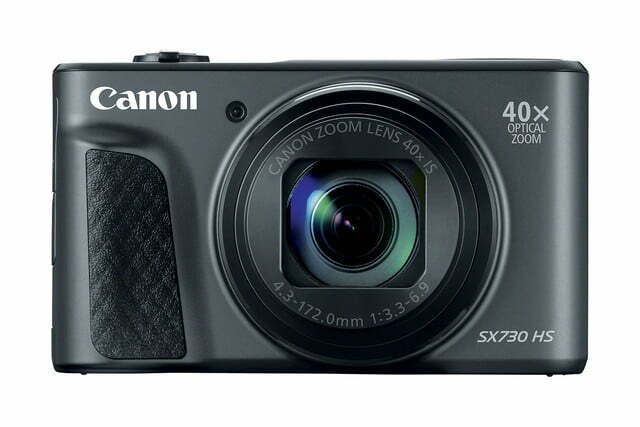 Canon today unveiled a new macro lens for its APS-C DSLRs and an updated compact superzoom camera, the PowerShot SX730 HS. 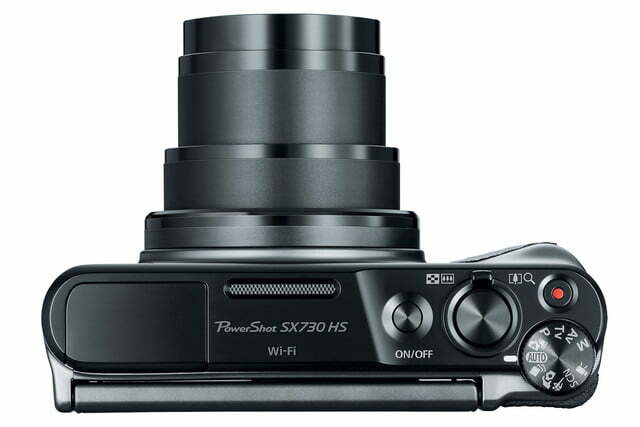 While the SX730 is a slight upgrade over the outgoing SX720 HS, the EF-S 35mm f/2.8 Macro IS lens is all new. 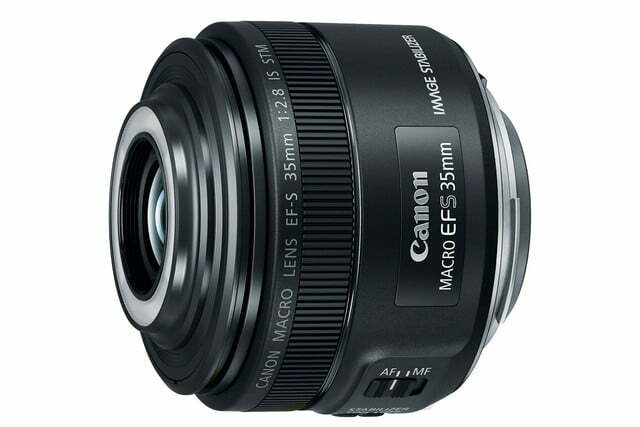 It is the widest angle macro lens in Canon’s EF-S lineup, with a full-frame equivalent focal length of 56mm. At $350, the lens is made for aspiring photographers and first-time macro lens owners and would pair nicely with Canon’s Rebel line of entry-level DSLRs. That said, it still packs a strong feature set, starting with the built-in Macro Lites. 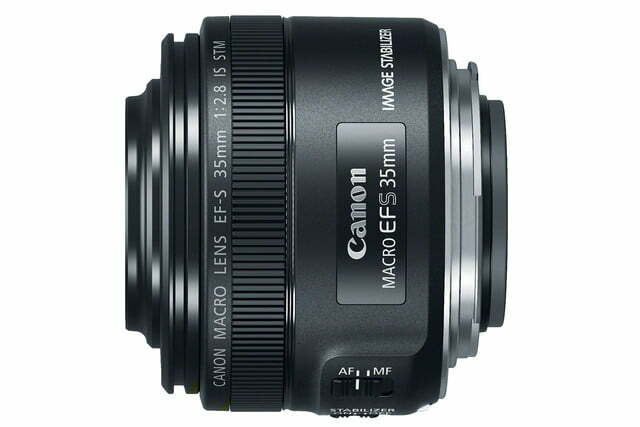 First introduced with the EF-M 28mm f/3.5 Macro lens for Canon’s EOS M mirrorless cameras, the new EF-S 35mm marks the debut of built-in Macro Lites on a DSLR lens. The functionality appears to be identical to that of the EF-M 28mm, with a ring of LEDs arranged around the front of the lens that is split into two semicircles. The right-half or left-half can be turned on independently to achieve a directional light that illuminates more texture, or the full ring can be activated at once for maximum light output. For non-macro use, the 35mm should double as a capable portrait lens, thanks to the 56mm equivalent focal length and f/2.8 aperture. That means photographers will be able to maintain a decent working distance from their subjects (30mm working distance) while achieving a relatively shallow depth of field. The lens is also designed with video recording in mind, using the latest stepper motor (STM) focusing system for smooth and quiet continuous autofocus performance; additional manual fine-tuning can be achieved in autofocus. The lens uses a hybrid image stabilization system with four-stops of shake correction, and helps to correct lateral shaking that is common with macro photography. Canon told us that the lens is designed for the “plus-one” user – someone who carries with them an additional lens along with a kit glass. 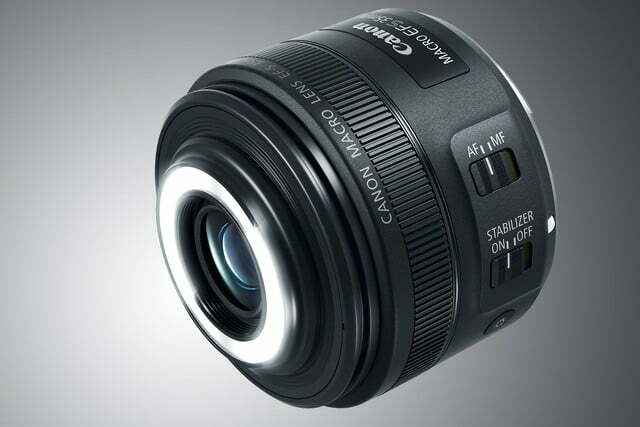 Canon APS-C DSLR owners will be able to get their hands on this lens in June. 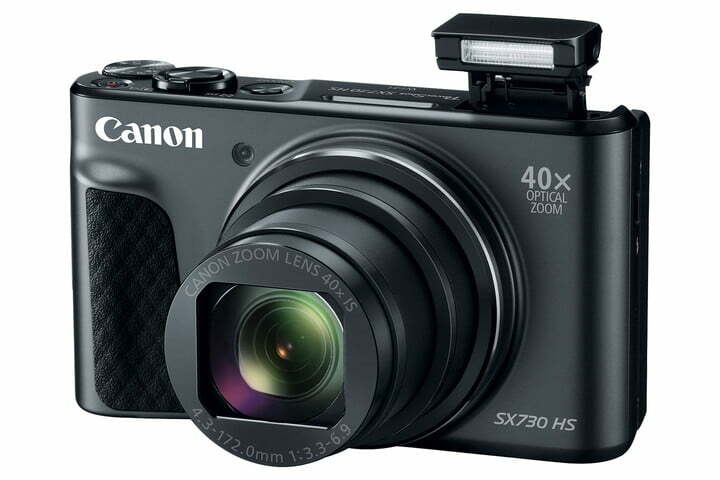 As for the SX730 point-and-shoot, most of the specs haven’t changed from the SX720 announced in February 2016. 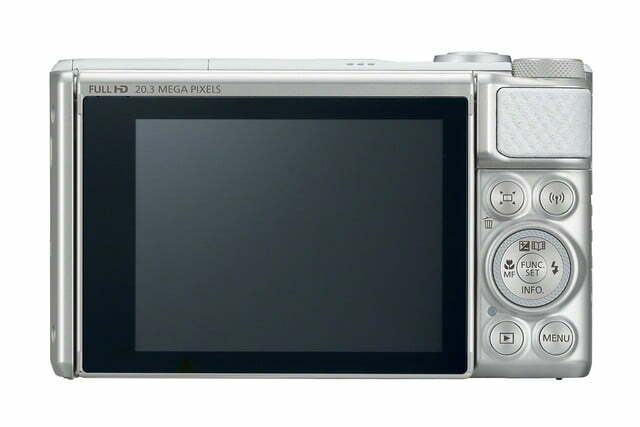 It still uses a 20.3-megapixel sensor matched with a 40x zoom lens, providing a full frame equivalent focal length range of 24-960mm. It also gets the same Digic 6 processor, 1080p/60 video mode, and built-in Wi-Fi with NFC. What is new is the three-inch, articulating LCD monitor, which can flip 180 degrees for shooting selfies. 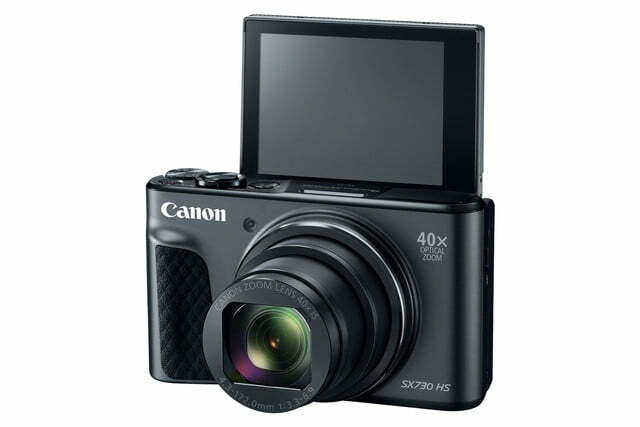 Canon has also updated the camera’s software with new Self-Portrait and Smooth Skin modes to take advantage of this newfound selfie-shooting capability. The only other new addition is Bluetooth, which should make wireless camera control easier without requiring users to enter lengthy Wi-Fi passwords to connect to the camera. 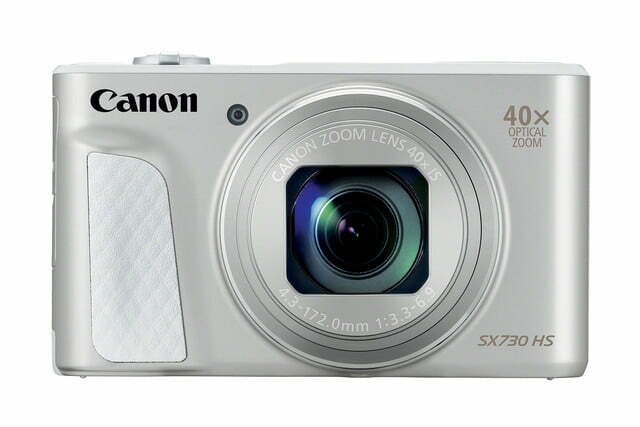 The SX730 HS will be available in June in either black or silver, for a price of $400.